Passivation of corrosion resistant steels. 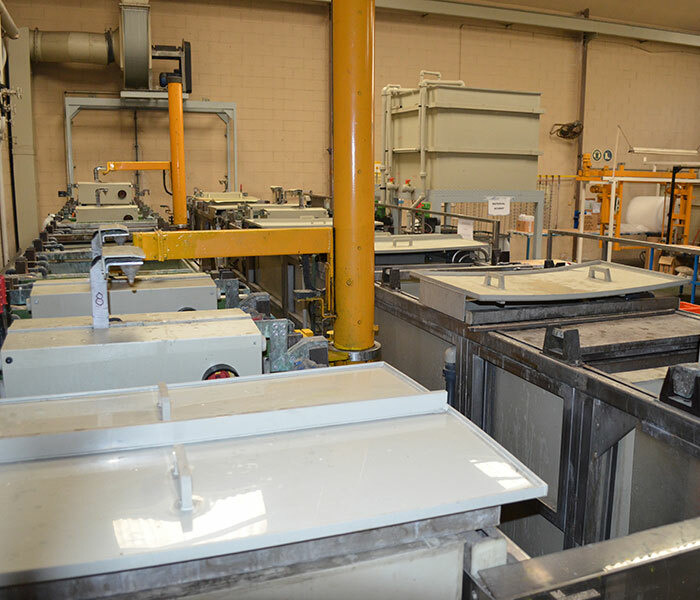 Depending on the type of passivation, the process gives to substrates a better behaviour towards different factors of environmental corrosion. Also, it cleans the surface of free iron particles and offers to steel a better resistance to fatigue. Type I: superficial pickling with fluonitric acid and passivation with nitric acid. Type II: superficial pickling with hydrochloric acid and inhibiting agent and passivation with nitric acid and dichromate. The process is mainly destined to parts from aeronautic industry, for that we perform it according tu AIPS/AIPI 02-05-005 and I+D-P-038. 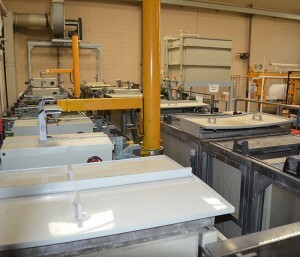 At ELHCO the processes are automatized and are carried out in working tanks of 420 L.
We perform a variety of surface finishing: Electroless (Chemical) Nickel-Phosphorus, Electroless (Chemical) Nickel-Phosphorus-Teflon, Zinc-Nickel Plating, Electrolytic Nickel Plating, Gold-Cobalt Plating, Tin Plating, Silver Plating, Copper Plating, Anodizing, Chemical Conversion Coating on Aluminium and Passivation of Corrosion Resistant Steels. © 2019 - Electroless Hard Coat, S.A.